On April 15, 1912, less than three hours after its collision with an iceberg, the Titanic – yet deemed unsinkable – sinks into the limbo of the Atlantic, where his wreckage still rests today. A historical moment definitely anchored in the collective memory with the major work of the director James Cameron, Titanic, released in 1997 and halo of eleven Oscars. If the film experience in question is impressive, it is likely to be insufficient for some. Among them, Australian billionaire Clive Palmer launched in 2012 the idea of ​​a “Titanic II”, exact replica of the famous cruise liner. If the latter was suspended in 2015 following a financial dispute with China, the recent conclusion of the case, announced Monday, October 22, sign the resumption of this eccentric project and whose price rises at $500 million. 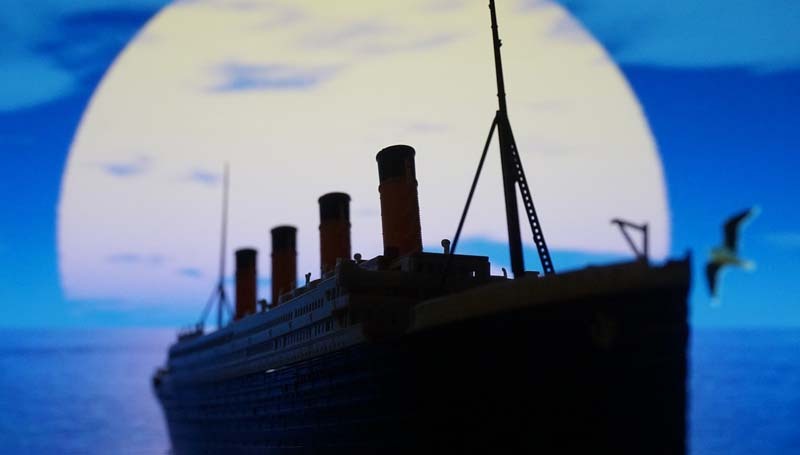 According to the plans announced, the “Titanic II” promises to be a faithful reproduction of its predecessor. Tribute to “Dream Liner”, it will reproduce the same interior design of the latter, respecting the aesthetic codes of the early 20th century for its 835 cabins and ballrooms. Some modernizations will be expected anyway, especially for third-class cabins. As for its resistance, do not worry. Unlike its predecessor, the Titanic II will benefit from modern technologies (its external fireplaces will be purely decorative). In addition to sporting a welded hull – and no longer riveted – it will be equipped with navigation radars. And important detail: there will be enough rescue channels to accommodate its 2,400 passengers and 900 crew members in case of any new drama. For his first trip, announced for 2022, the Titanic II will leave Dubai to join Southampton. From the English coast, it will start to New York following the North Atlantic route, whose eldest could never see the end. A representative of the Blue Star Line, responsible for the cruise, still said that the construction has not started (the latter is planned in China, not in Ireland as for the Titanic) and that the manufacturers must still be contacted. Many remain skeptical about the viability of such a project given the reputation of Conservative mogul and politician Clive Palmer, whose results are rarely up to the original ambitions. If the Titanic II joins the ocean one day (surface only hopefully), its task should in any case be facilitated: as pointed out by netizens, not sure indeed that global warming has spared icebergs by then.